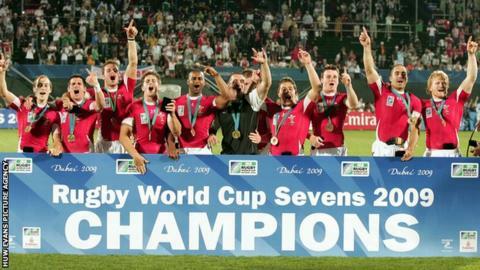 Defending champions Wales will face twice winners Fiji at the Rugby World Cup Sevens in Moscow in June. Wales, who defeated Argentina to win the title in Dubai four years ago, will also face Tonga Uruguay in Pool E.
England, winners in 1993, are in Pool F with Argentina, Portugal and Hong Kong while Scotland's opponents will be hosts Russia, South Africa and Japan. The six pool winners and two best runners-up will secure quarter-final places. Tournament favourites New Zealand have landed Canada, the United States and Georgia. In the 16-team Women's tournament, top seeds England will face Russia, France and Japan in the pool stages while Australia and South Africa will be two of Ireland's pool opponents. The two tournament will be held at Moscow's Luzhniki Stadium, which hosted the 1980 Olympic Games, between 28-30 June.